It’s no secret that Millennials are hitting the “restart” button on their careers at shorter intervals than ever before. 91% of Millennials expect to stay in a job less than 3 years. The below should help you avoid the $15,000 to $25,000 price tag of replacing Millennial employees. 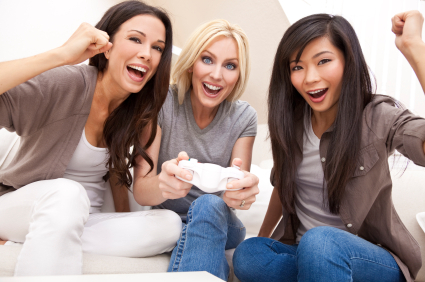 Have you ever thought to harness the power of gaming to retain your Millennial workers? Wikipedia defines gamification as the use of game design techniques and mechanics in a non-game context to solve problems and engage users. The key word in there is…ENGAGE! And what’s more engaging than video games? According to Millennials, nothing. Understand and play (pun intended) to Millennial’s hard-wired gaming needs to effectively retain them as employees in the workplace. Having a hard time grasping the magnitude of gaming? These 12 Startling Gamification Statistics should give you some perspective. Customize: Millennials want their career path to be unique to their strengths and desires. Much like customizing their own avatar (game character) with unique abilities, traits and appearances. They also thrive under the options to choose specific missions and try different game tracks or story-lines. Play to that need for customization and give them options for growth. Control: Millennials want ownership of their positions and tasks. They are used to a controller in hand, moving their avatar wherever they desire and having control over the avatar’s decisions and the ultimate outcome of the mission. Give them responsibility over their tasks. Cultivate: One of the Millennials greatest desires is to acquire transferable life skills. In the gaming world, they have the option to enter tutorials where they can hone the strengths of their avatar or gain new traits that will assist in accomplishing the mission. Communicate what is expected of them and then highlight where they can go to advance themselves to do the task better and faster. Collaborate: Millennials learn better and quicker in teams. They don’t think twice about playing games with or against others online, and then once they become victorious, they’ll post the score on Facebook. Embrace this new sense of sharing and collaborating that surrounds gaming and social networks and use it to foster competition and innovation among your team. Consequence (aka cause): Millennials desire that epic win. They want to have an impact, today! They struggle from level to level and puzzle to puzzle for the ultimate goal of rescuing the princess by prevailing over the final boss (which was Bowzar for us old-school Millennials) and saving the world. Communicate “the why” so they know who and what they are playing for so that they can throw their heart fully into their work.